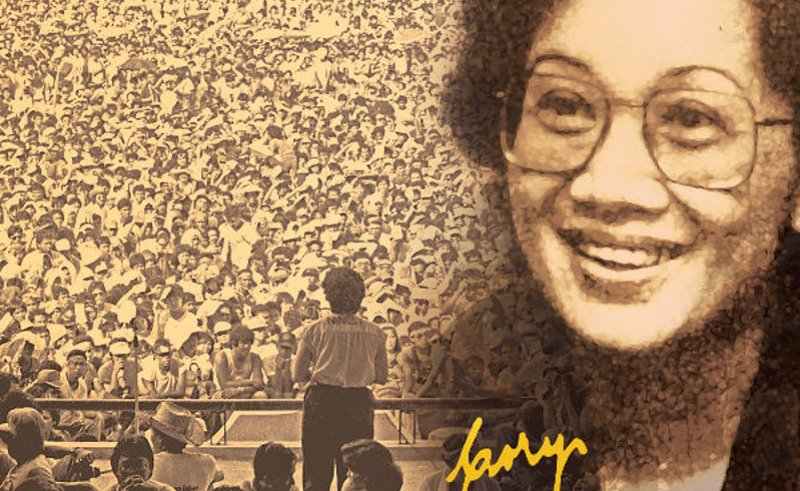 Former President Corazon Aquino allegedly spent one trillion pesos from 1986 to 1990 on ghost projects, according to former Senate President Juan Ponce Enrile. "One trillion pesos staggers the imagination," said Enrile in an August 1, 1990, report to the Philippine Senate on the real state of the nation. "Congress has generously made available to the Aquino administration a huge sum of money—almost one trillion pesos—from 1986 to this day." He said that Aquino also spread fake news. Aquino claimed in her State of the Nation Addressing July 1990 before a joint session of Congress, built a total of 3,365 kilometers of major roads and 18,120 kilometers of feeder roads from 1986 to 1990. "The kilometers of roads should be easily visible, for the greatest length of the archipelago north to south is 1,851 kilometers only," Enrile said. "Perhaps, the President and her Cabinet members should tell us where these new roads are. Frankly, I have not seen any in my travels in the countryside. Of course, some could be located inside Hacienda Luisita, as one Commission on Audit report disclose," he added. He added that Aquino claimed that 27,530 more hectares of farmlands and giving the benefit to 18,500. Enrile said that "Where are these irrigated farmlands located?" Enrile asked. "Could these be in Tarlac or some planet like Mars? If this claim is true, why are we still importing rice and corn?" He added that the figures show that in 1988 the Aquino administration imported 187,154 metric tons of rice and 172,263 MT of corn, disproving the claims of the administration. The former Senate President said that everything was fake news. "People in the rural areas often ask me for public funds to provide them with safe drinking water. With 51,820 water-supply projects, each of our 41,000 barangays should have at least one [water supply] project. But where are these water-supply projects?" "When told about these "water-supply projects," barangay residents reacted in disbelief. Could it be that our barangay folks, ordinary mortals like us, are blind and do not see what the exalted officials of the Aquino administration see?" The administration spent P114.5 billion in 1986; P154.9 billion in 1987; P190.7 billion in 1988; P230.4 billion in 1989; and P246.6 billion in 1990, or a total of P937.1 billion. If the budgetary request of P301 billion for 1991 is included, the aggregate amount would have added up to P1.238 trillion. If distributed among 60 million Filipinos, each citizen would have received P16,677 or equivalent to half a year’s minimum salary of the average working man. "If that sum of money were judiciously used, we would be seeing today immense and dramatic improvement in the quality of our life. And yet, in terms of visible physical and structural infrastructure achievement, the Aquino administration pales in comparison with the regime it replaced," Enrile said. "If we sum up all the money granted to the Marcos regime from 1966 to 1985, a period of 20 years, as against the four years of the Aquino administration, the total would not come anywhere near the fabulous amount of one trillion pesos,"he added.